A few years ago, we found ourselves window shopping in a quaint town around Christmastime and came across the most beautiful Christmas Window Boxes. We just loved them and have made a tradition to make these every year. 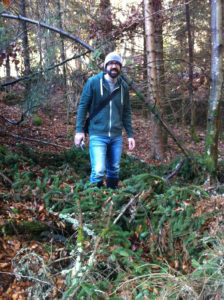 The first year we made them, we hit the jackpot by finding all the supplies on a path in a forest that had just been logged. Wolff’s sells many of these items too, so you might not have to forage for all the items listed! 3 birch branches per box about 2″ in diameter and 12-18 inches long, depending on the depth of your flower boxes. If you can’t find birch branches, you can paint other branches white. From a distance no one will know the difference! Take the flower box and cover with the bark. Use twine to secure it for a rustic look. For the branches, if they aren’t birch, you may want to paint them white. 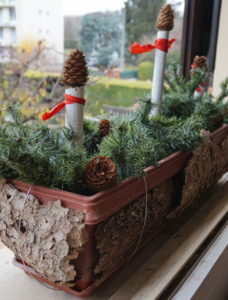 Glue the pinecones to the top of the branches to make them look like candles. Secure them to a board, and place in the bottom of the flower box. 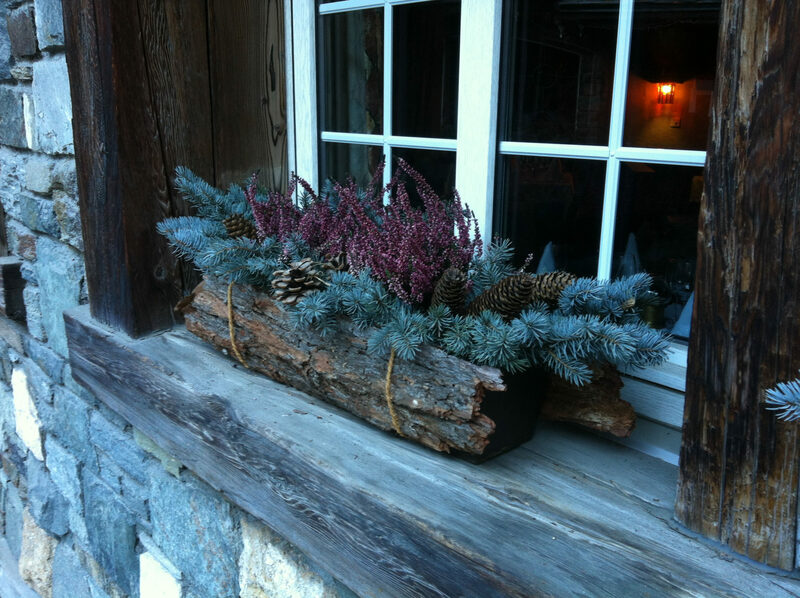 If you have indoor/outdoor lights, feel free to get creative with your Christmas window box. 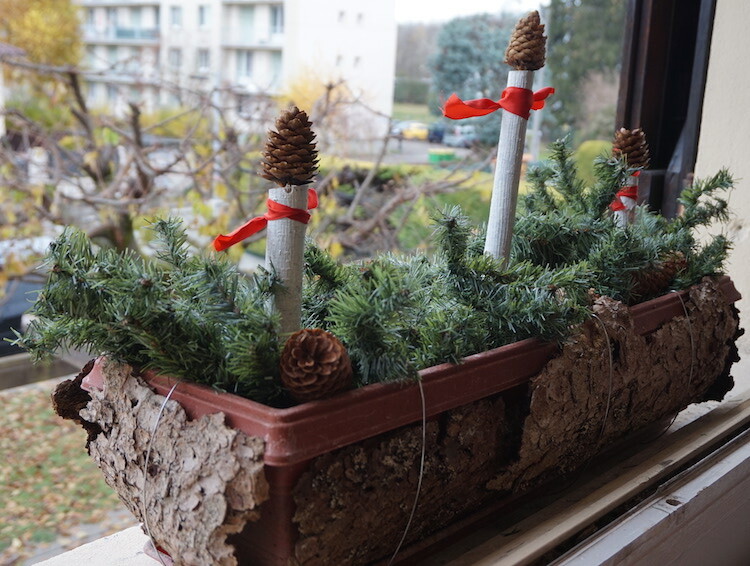 Place in your windowsill and enjoy all season long! 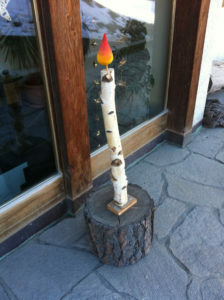 Many of these items can be found at Wolff’s Garden Center, such as greens, pine cones, holly and magnolia leaves. Learn about the trees we sell like Douglas Fir, Colorado Blue Spruce, Fraser fir and more as well as how to care for your tree. 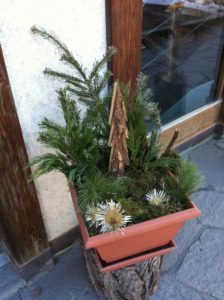 We also carry a selection of greenery and other decorating items. While you shop for your tree, be sure to grab a free cup of hot apple cider! ← Our 2018 Christmas Tree Varieties Are Here!